The Girl and the Ghost has a history of being delayed. Example- one year ago today, I announced the completion of animation for the project. Is the movie done yet? No. But that will soon change. Both the sound effects and music are extremely close to being finished, thanks to the fantastic Jake Ruby and Karen Graves. 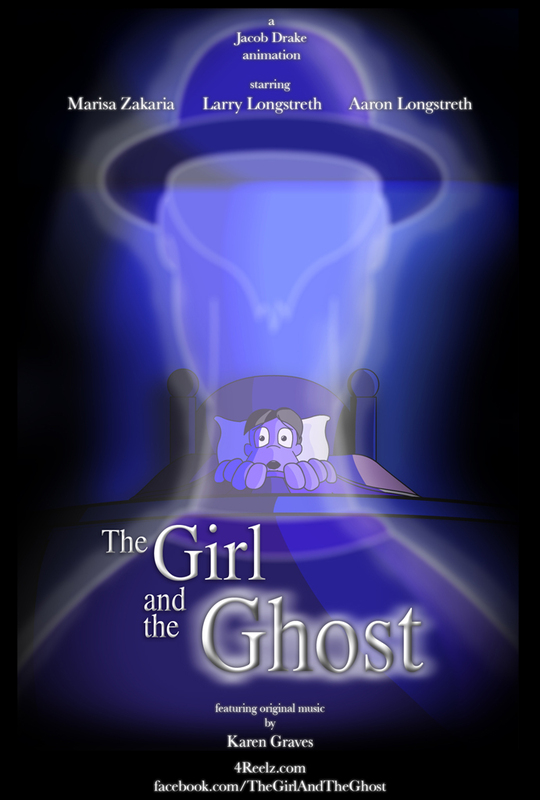 Once they're done, I'll put them together, and The Girl and the Ghost will finally be complete. It's just days away now. With the movie being so close to done, cool things are already starting to happen. First up? The poster is here. Also, the official Facebook page is up and running. And finally, the trailer is online. Watch. Enjoy. Pass it on.